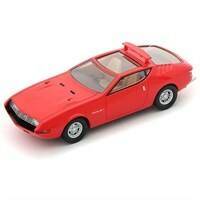 Choose from a wide range of road car diecast models in our sale at Diecast Legends. 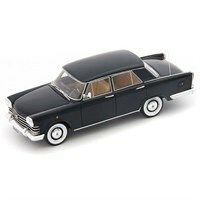 AutoCult 1:43 resin model of the Fiat 1200 Speciale in dark blue. 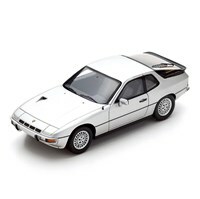 Spark 1:43 resin model of the Porsche 924 Turbo in purple/silver. 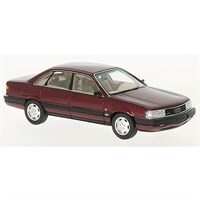 Neo 1:43 resin model of the 1990 Audi 200 Quattro 20V in metallic dark red. 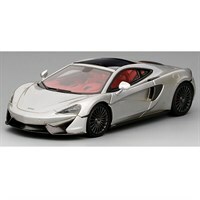 TrueScale 1:43 diecast model of the McLaren 570GT in silver. Minichamps 1:43 diecast model of the 2015 Brabus G500 4X4 in black. 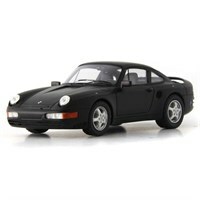 AutoCult 1:43 resin model of the Porsche 965 V8 Prototype in black. 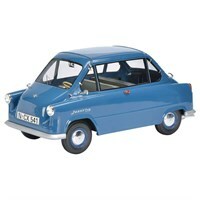 Schuco 1:18 diecast model of the Zundapp Janus in blue. 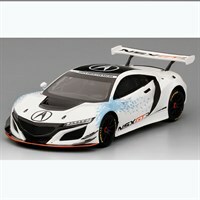 TrueScale Miniatures 1:43 resin model of the Acura NSX GT3 displayed in the 2016 New York Auto Show. 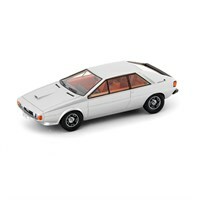 AutoCult 1:43 resin model of the 1973 Audi Asso di Piche in silver. 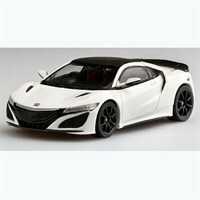 Truescale Miniatures 1:43 resin model of the Honda NSX130R in white. 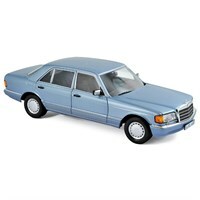 Norev 1:18 diecast model of the 1990 Mercedes 560 SEL in Pearl Blue Metallic. AutoCult 1:43 resin model of the Toyota EX-1 in red. 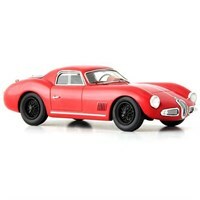 AutoCult 1:43 resin model of the 1953 Alfa Romeo Sport Coupe 2000 in red. 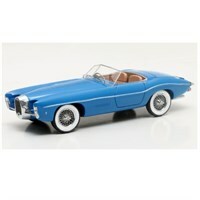 Matrix 1:18 resin model of the 1966 Bugatti T101C Exner Ghia. 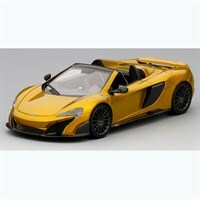 TrueScale Miniatures 1:43 diecast model of the McLaren 675LT Spider in metallic yellow. 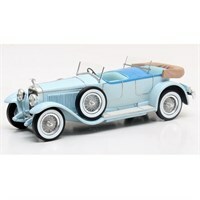 Matrix 1:43 diecast model of the 1924 Hispano Suiza H6B Million-Guiet Pheaton in blue. 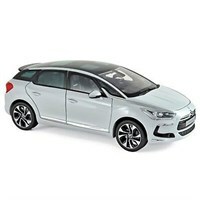 Norev 1:18 diecast model of the 2011 Citroen DS5 in Pearl White. 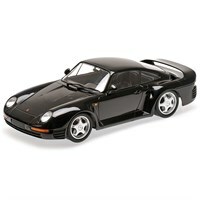 Minichamps 1:18 diecast model of the 1987 Porsche 959 in black. 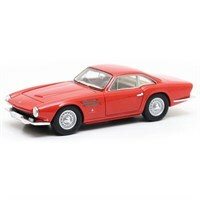 Matrix 1:43 resin model of the Jaguar D-Type LM Michelotti in red. GLM 1:43 resin model of the INKAS Armored Mercedes AMG G63 Limousine. 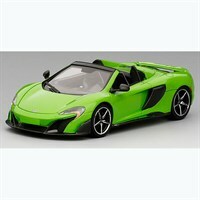 TrueScale Miniatures 1:43 resin model of the McLaren 675LT Spider in green. 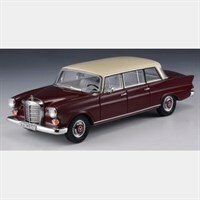 GLM 1:43 resin model of the 1965 Mercedes-Benz W110 Binz Lang in red. 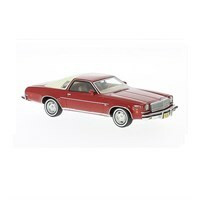 Neo 1:43 resin model of the 1974 Chevrolet Malibu 2-Door in red. 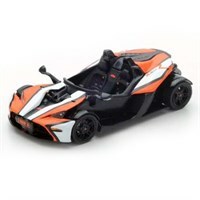 Spark 1:43 resin model of the KTM X-Bow R.